All members in attendance or on the phone except Keith. Asphalt – maintenance and filling holes is better to do when there are less people in residence but if done in the near future they will do one side at a time. Question: Loud noise? Security in Parking Lot– will mount more cameras and change older ones for newer ones. They will have a beam that will alarm the doorman if someone is trespassing. He will add more lights. There will be 18 lamps with 50amp bulbs. (I should have asked about solar lights? The board questioned if they wanted more security with lights going on when the alarm went off. Paint the poles black to make them less Publix parking lot look. New led bulbs also. People asked if there could be an audible alarm to scare off intruders. Elevator– the part that is missing has to be manufactured and causing the delay. Greg questioned why the elevator has been out for so long, almost a month. Are we speaking to the top people at the company? Service Elevator– problems with the door shutting is people holding the doors for extra-long times causing the elevator need to be reset it is called “lockout”. Instead of holding the actual doors people should hold the hold button on the panel. Frank will try to have the timer turned to the max. Trees on Flagler- there are seven trees on north side of Flagler that need to be replanted. Some problems with the city. Greg suggested he would speak to a city official that he knew to see what he could do. They talked about proper time to do the pruning of some very tall trees. Greg would also call in a favor of a landscaper to look over the property. VR from the audience wanted to know what they were doing with the front hedge that was bare. Frank said it was the wind in the corridor next to neighboring apartment building. Back to Cooling tower-an engineer has to be picked and when they start the repair the building will not have air conditioning for 2 weeks. It would have been great to do it now but not ready with choice or permits. Maybe it should be done in Oct/Nov of 2016. April was mentioned. 1. Last evening Jim & I went to the City Commission Mtg. to speak & hear the Traffic Calming Approval Vote for our Sunset Rd. Traffic Calming, Jim spoke at the podium, & Robin Azqueta (the applicant) spoke and everyone left happy that the Vote was yes for the Traffic Calming, & we Thank all of the involved residents of Sunset Rd. for their input at the City Street Meeting & the evolving consensus made by all. It was a long successful journey, that first started so very many years ago, & the City notified us late yesterday (could not retrieve on the computer till today) that they will be implementing the request that we put in our packet , hand delivered to them concerning the location of the 2 traffic calmers, material to be used, the pattern, the color, & the placement of the signage, so hopefully all goes in correctly at some point. 2. A neighbor contacted me that has a relative who we really hope might be purchasing one of the Marlborough sober homes, which would be so really terrific for the neighborhood, as we assume it would then turn back into a single family home again! Keep your fingers crossed as that would just be super, super, news for all. 3. In the 200 Block of Cordova Rd., a bike was taken out of the back yard, with a houseful of guest there in the house, & nearby neighbor Steve Simpson, saw what was happening & apprehended the suspect till the Police arrived, which was super quick, the suspect was arrested and Police took the man to jail! YOUR NEIGHBORS ALL SAY– A BIG THANK YOU, THANK YOU, STEVE!!!!!! 4. 3500 block of So. Dixie Hwy., there was an aggravated assault with a deadly weapon. 5. 3700 block of So. Flagler Dr. there was an affray, an incident with an uber driver & the people who contacted him for the service. 6. 200 block of Westminster, stolen out of the residents vehicle a $999 computer & a $30 computer cover. We are hearing many reports (4 just lately) even in the North End of Palm Beach of people going into residents unlocked vehicles late in the night, taking things like cash, phone chargers, cameras, GPS units($400 alone), & computers, wallets, phones & purses, also have been taken from our southend neighborhoods in the past, so just be sure & lock up & leave nothing in your vehicle. 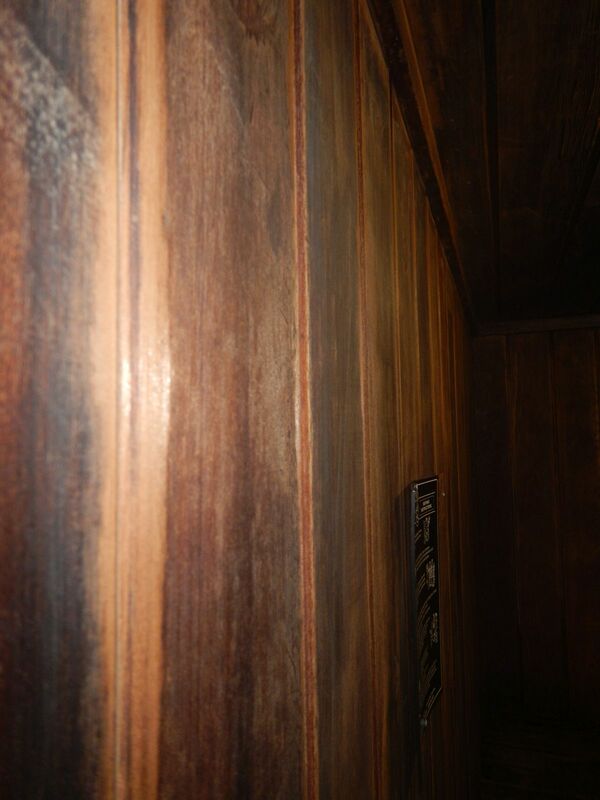 In August of this year, the sauna was renovated to include painting all the interior wood with a varnish. This, according to management, was done to remove unpleasant body odor smells from the sauna. After the varnish, the sauna wood went from being soft, light gray-colored, and unsealed to being hard, dark-colored, and smelly. Many varnishes are not made to withstand the unnaturally high heat of a sauna’s interior, and will release fumes in to the air. Indeed, Superior Saunas notes on its website, “Do not paint, varnish or stain the interior portions of your sauna. The wood needs to breathe (absorb and slowly release heat and humidity). Also, artificial finishes make the wood surface much hotter, create the possibility of harmful fumes from the wood sealer, and take away some of the “softness” of heat and steam penetrating the wood.” The websites of Helo Saunas and Finnleo Saunas give similar warnings. When I explained this, in my view, improper treatment of the sauna to the management, they agreed to have the varnish stripped. 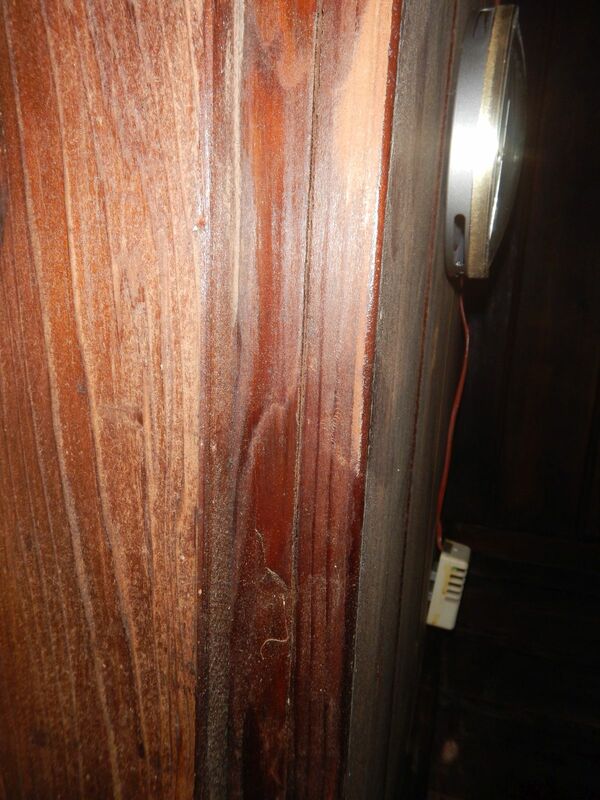 However, the wood absorbed much varnish, and it is clear from the wood shininess (see pictures, taken December 2015), change in color, and lingering odor that the varnish still remains on some of the wood. The smell given off by the sauna room has noticeably become less “woodsy” and more artificial since the varnish was applied and stripped. I no longer enjoy using the sauna because of the altered smell and the thought that I could be breathing toxic varnish fumes released by the high heat. A simple Internet search yields some safe options for cleaning the sauna interior, including scrubbing with a baking soda solution, sanding, and low-pressure rinsing, according to Almost Heaven Saunas. 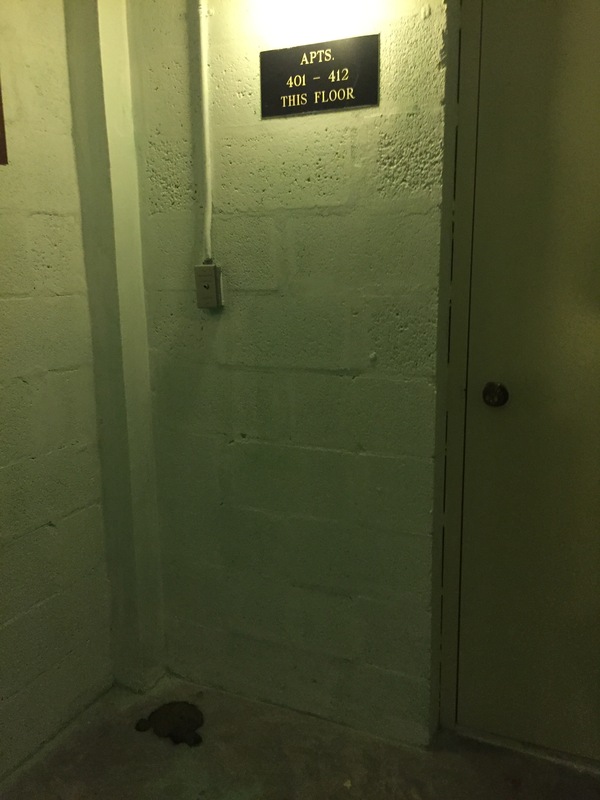 I would love to have our old sauna back; barring this possibility, I call on the building’s management to responsibly research best practices for the safe management of our facilities, before acting on a drastic, and possibly irreversible, solution such as varnishing the inside of a sauna room. Esther Sallee, a renter sent me these pictures. Another reason why dogs should not be allowed in the Portofino South building. Poo in stairwell landing on forth floor. Wrote a letter to Martha Lee. Will cc other board members. With photos attached! Disgusting.